All homes currently listed for sale in the zip code 85326 as of 04/19/2019 are shown below. You can change the search criteria at any time by pressing the 'Change Search' button below. 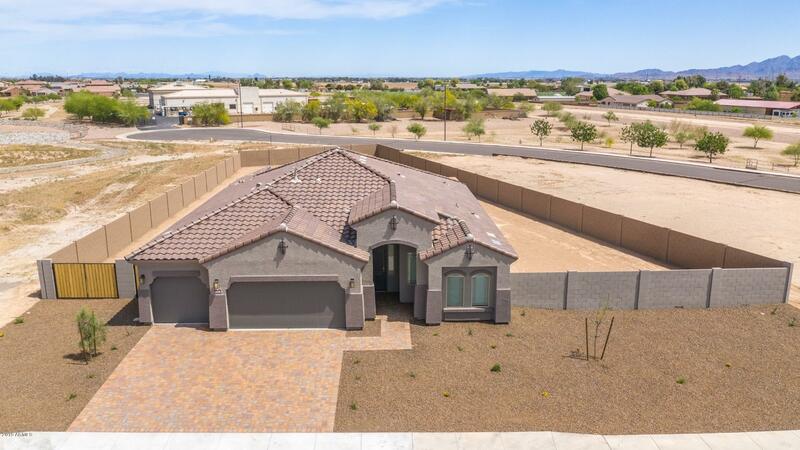 "Stunning home in rare custom home neighborhood. 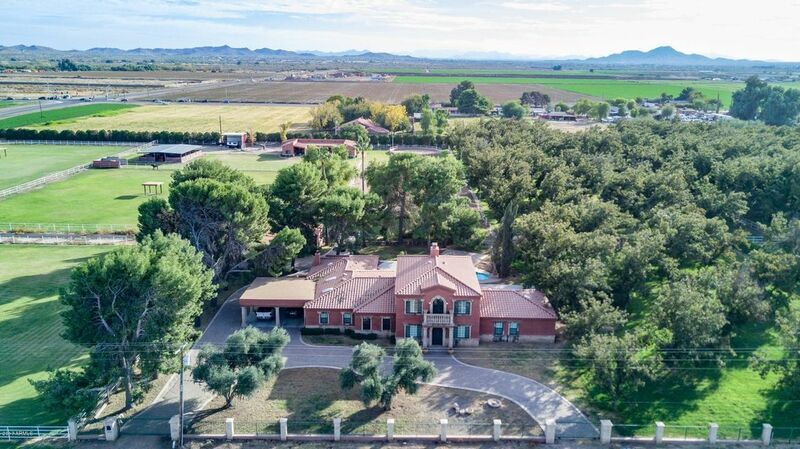 Irrigated acre with no HOA. Spectacular four bedroom 2.5 bath home features a great room with stone accent walls, formal dining, eat in kitchen with breakfast bar. Center island with 5 burner cook top, double wall ovens, pantry, beautiful granite throughout. Master bedroom complete with sitting area, his/her closets, beautiful snail shower and double granite sinks. Two bedrooms have walk in closets. 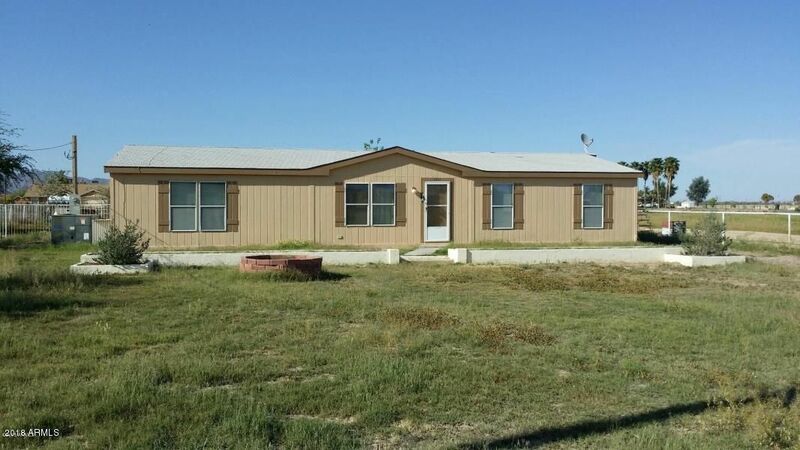 Extended garage, large enough for a crew cab truc"
"Great for horses! $445,000 furnished, $435,000 without. 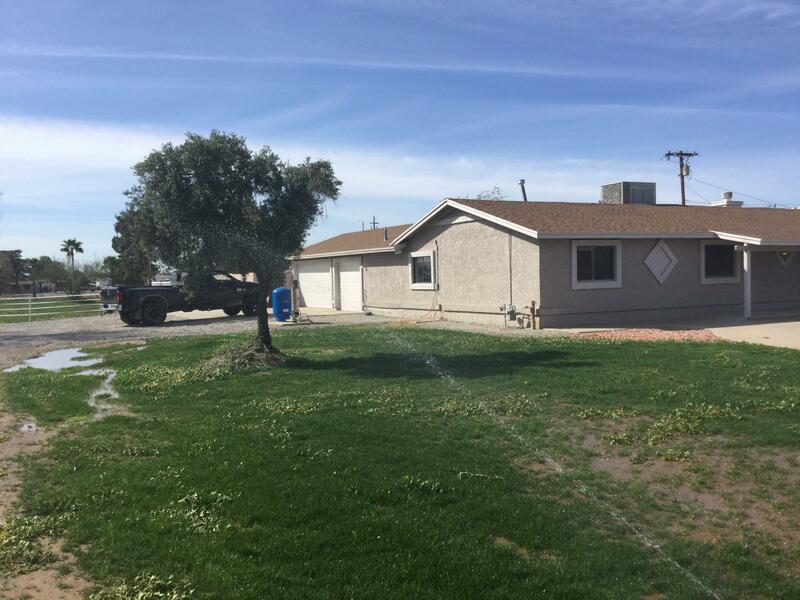 Irrigation is supplied by the irrigation district paid for by the Association of homeowners. Each homeowner pays is 600 a year which takes care of road maintenance, well maintenance and the irrigation. Please use seller's preferred title company for investor rates. ''BUYER TO COOPERATE WITH SELLERS 1031 EXCHANGE AT NO COST TO THE BUYER'' MUST BE IN CONTRACT." "CUSTOM HOME WITH COMPLETELY FENCED HORSE SET UP LOCATED ON MORE THAN 1.5 ACRES WITH PRIVATE WELL!! 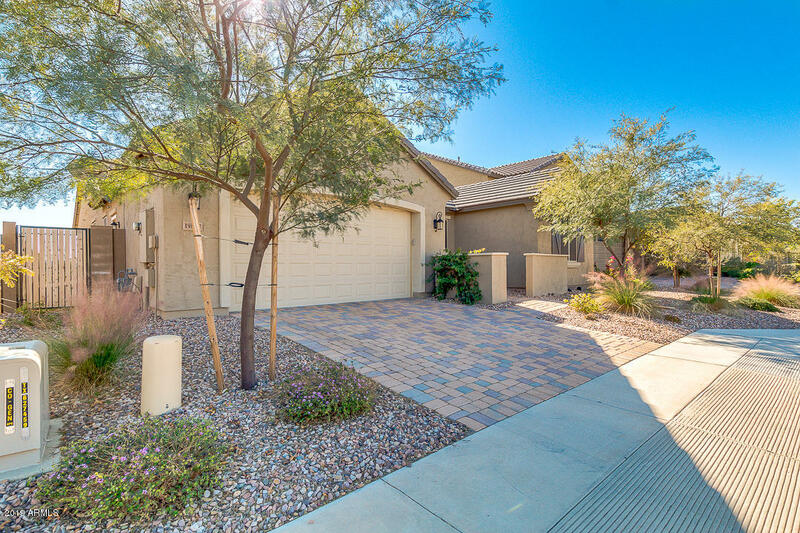 THIS 2,118 SF 4BR/2.5BA HOME HAS AN OPEN FLOOR PLAN WITH CUSTOM FINISHES THROUGHOUT. 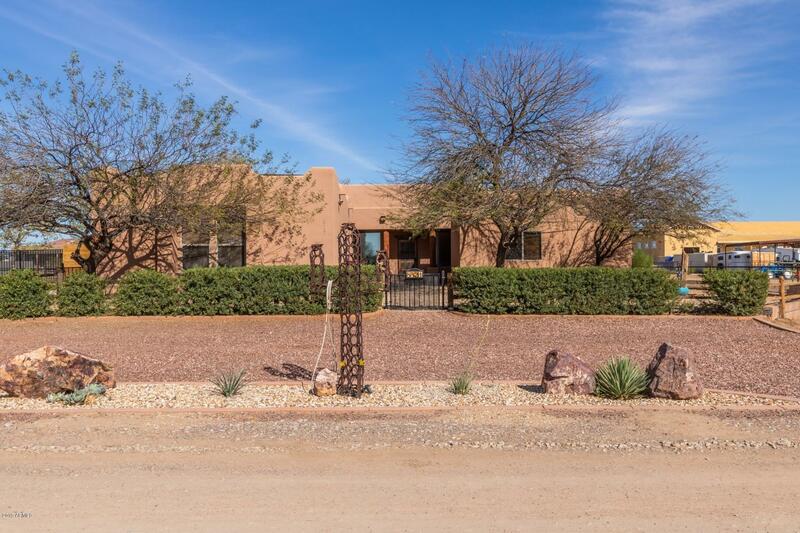 SPACIOUS 12 FOOT CEILINGS, STAINLESS STEEL KITCHEN APPLIANCES, AND CUSTOM WOOD DOORS MAKE THIS HOME A REAL GEM. BACKYARD INCLUDES CUSTOM RAMADA WITH FIRE FEATURE AND A SEPARATE OUTDOOR FIREPLACE. ESCAPE TO THE MASTER BATH WITH SEPARATE SHOWER AND JACUZZI TUB. GUEST BEDROOMS SHARE JACK-AND-JILL BATHROOM, AND 4T"
"New Custom Home on a 1+ Acres horse property. 4 bedroom 2.5 bath. Perfect for outside relaxation and beautiful Mountain Views. 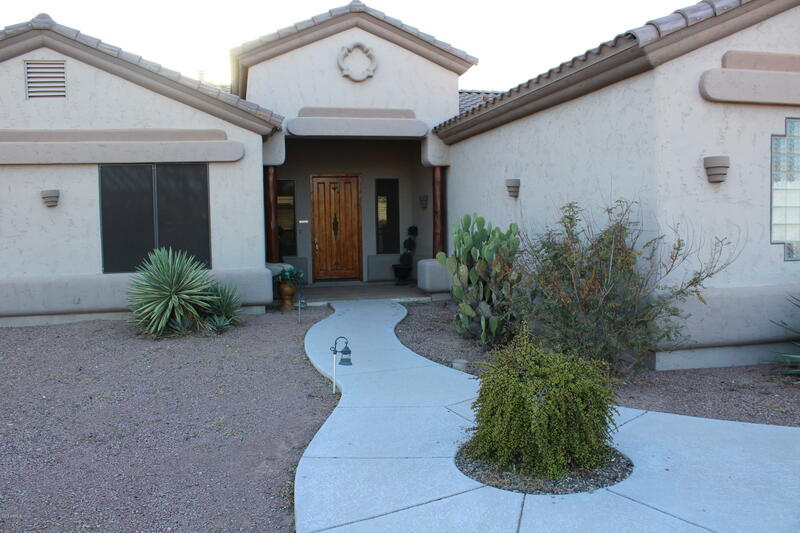 This home has many features to include 10ft ceilings, Kitchen with granite counter tops, opens to a large Great Room. The Master Bedroom is spacious with walk-in closet, Full Master Bathroom with double sinks and granite counter top, shower, soaking tub and private toilet. 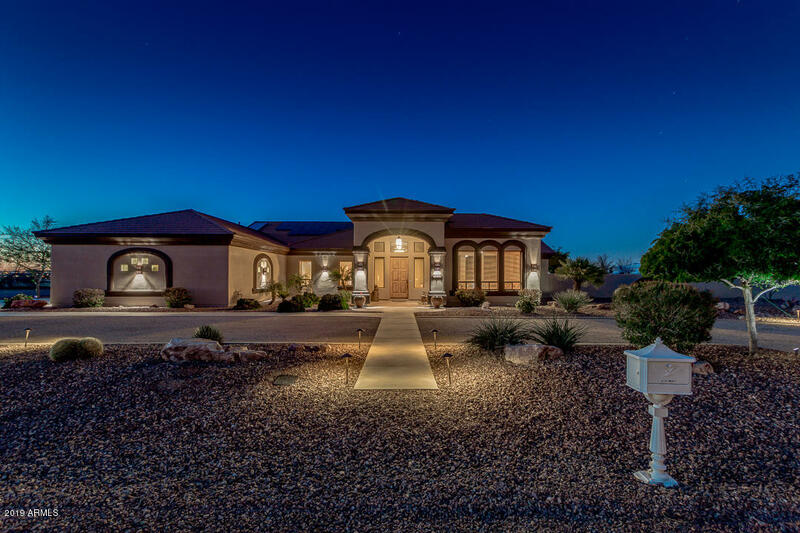 NO HOA's, Private Well and Septic.This Custom Beauty will go quickly!" "LUXURIOUS CUSTOM HOME WITH A TASTE OF COUNTRY LIVING. 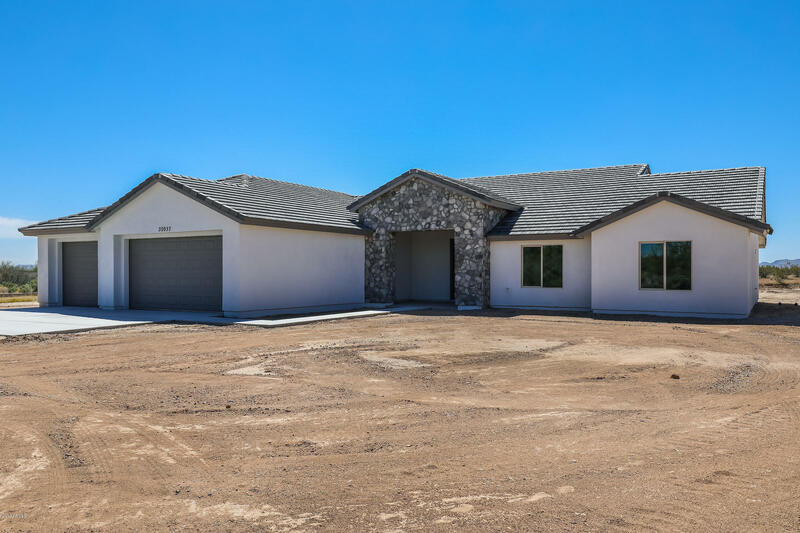 Welcome to Your 4 Bedroom 2 Bath 2592 sqft Home, With a 3 Car Oversized Insulated Garage. On An Acre of Land!!! 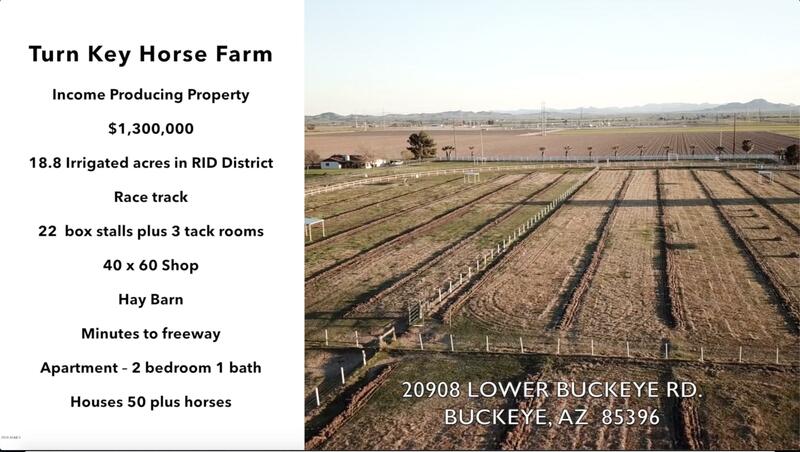 No HOA, Perfect For Horses or Your Dream Backyard. Too Many Upgrades to List! Located on a Quiet Street, Large Master Bedroom with a Beautiful Master Bath, Separate Outside Entrance And Large Walk-in Closet. High End 2.5 Inch Custom Granite Countertops In The Kitchen And Bathrooms. Living Room Fireplace. 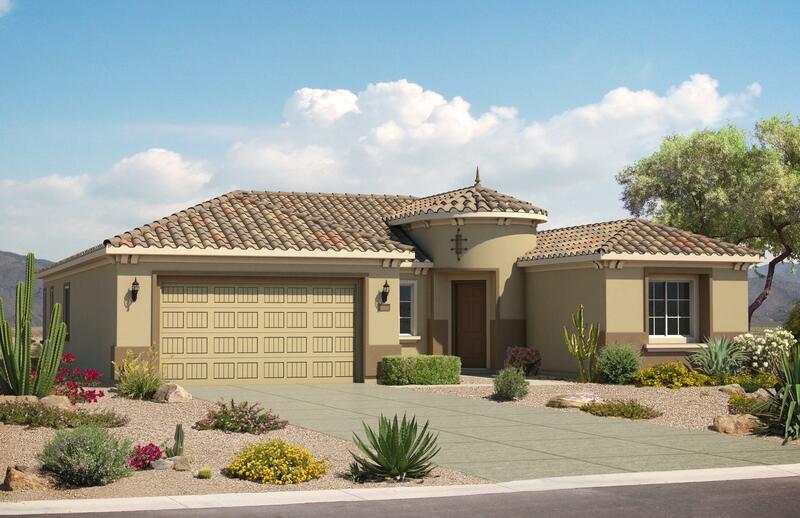 Custom Wood Cabinets, Doors "
"This home features 2 bedrooms and 2.5 bathrooms, in 1,767 Square Feet of living space. Options includes a 4' garage extension, 2' extension at the rear of the house, a paver walkway and driveway and an exterior fireplace. Inside you will find a framed low-threshold walk-in shower at the owner's suite, center sliding door, a suite, upgraded kitchen cabinets, granite counter tops and stainless steel appliances including cook top, canopy hood, micro/oven combo, dishwasher and refrigerator." "Home has all new carpet, new paint, and a new roof. It has an all new irrigation system hooked up to the well but also for supplies water to the house. There is a 800 ft. plus or minus shop/barn on the property. It is sold in as is condition." "This beautiful custom built home has so many great feature to list...come take a look for yourself. You will fall in love with the open concept and gourmet kitchen." "Brand New Build Home on a 28,000sqft lot in Sundance. Move In Ready!! 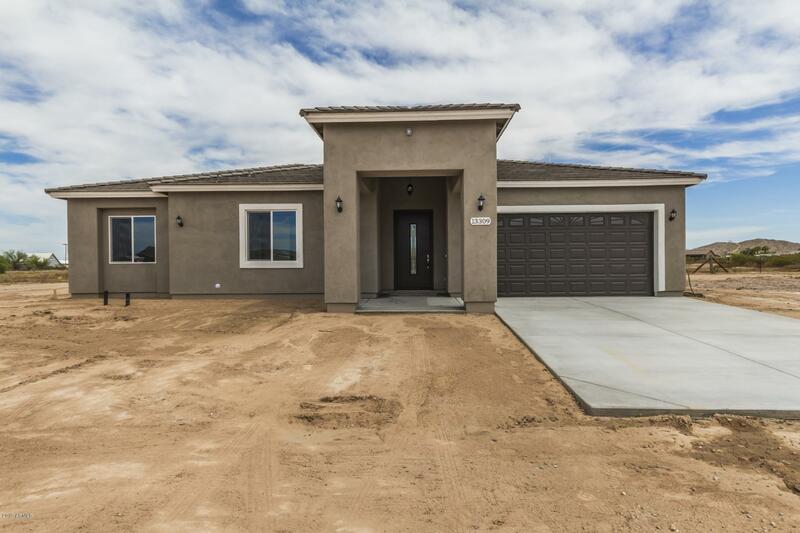 This 2236 sqft single story 4 bed 3 bath 3 car garage home will dazzle you. It is loaded with spectacular features such as.....Paver Driveway, Oversized Gate to side yard, Linen White Cabinets, large open Kitchen w/ Granite Kitchen Island & Counters, Grey Subway Tile Backsplash, GE Stainless Appliances, Vinyl Plank flooring in all the right places, large Laundry Room, over sized Covered Patio. This home also comes with Home "
"Brand New Build Home on a 27,000sqft lot in Sundance. Move In Ready in April. 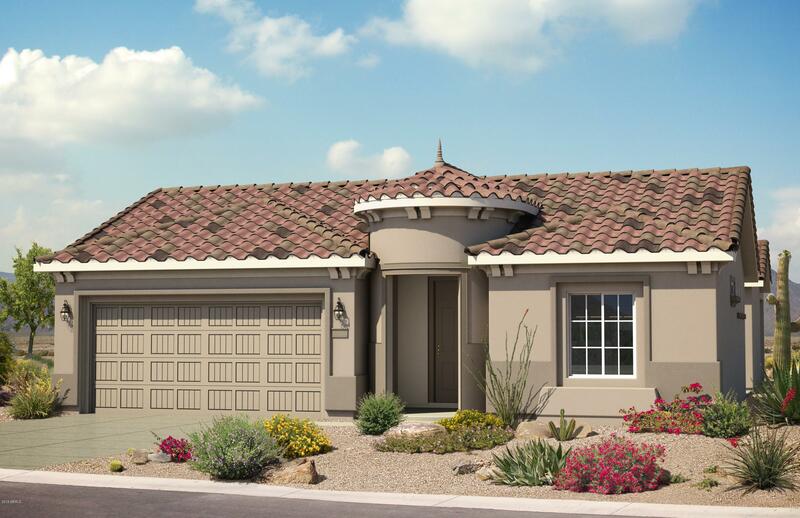 This 2236 sqft single story 4 bed 3 bath 3 car garage home will dazzle you. It is loaded with spectacular features such as.....Paver Driveway, Stone Veneer Front, Oversized Gate to side yard, Espresso Cabinets, large open Kitchen w/ Granite Kitchen Island & Counters, Subway Tile Backsplash, GE Stainless Appliances, Subway Tile Master Shower, 18'' Tile in all the right places, large Laundry Room, over sized Cove"
"NEW Custom Build! Fully UPGRADED energy efficient home on 1 acre lot in the country. Move in ready. 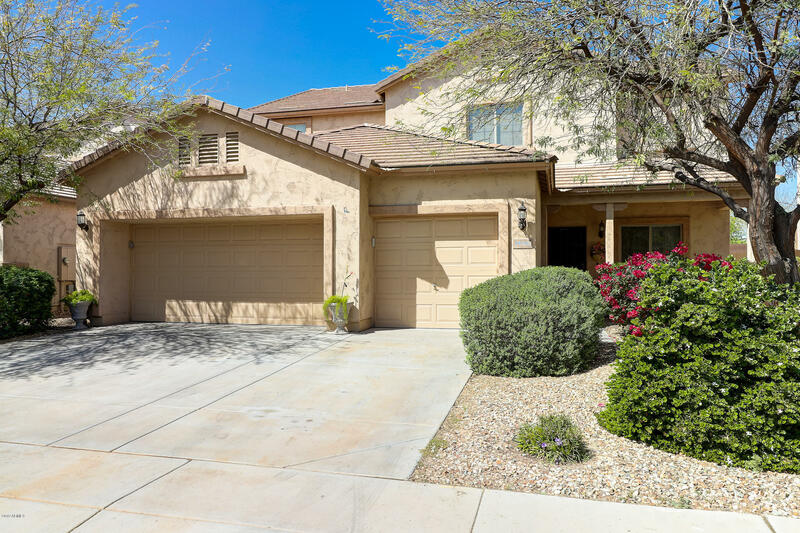 Upgrades include oversized 3 car garage, wood look porcelain tile, spray foam insulation, Low E dual pane windows, quartz countertops, custom kitchen cabinets, walk in shower in master, walk in closets in 3 of the bedrooms, ceiling fans in each room. Bring your horses, RV's etc!" 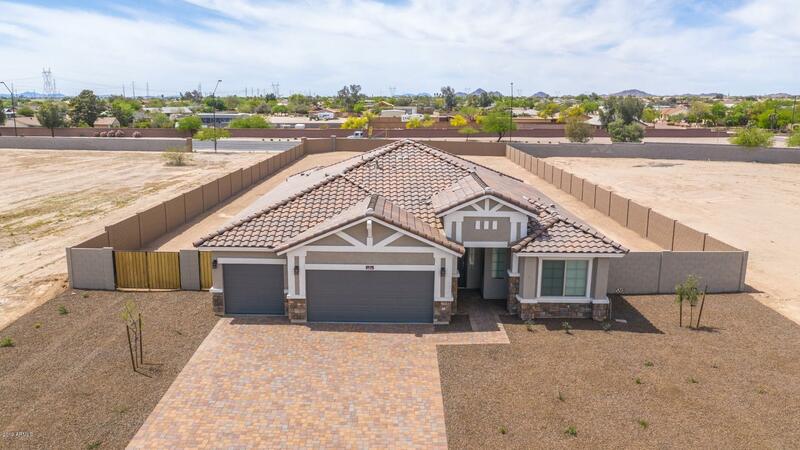 "***SELLER IS OFFERING $5,000 TOWARDS CLOSING COSTS Why wait & pay way more for a new build w a dirt lot, no window coverings or ceiling fans, when this model like home has it all without the additional out of pocket to the buyer. 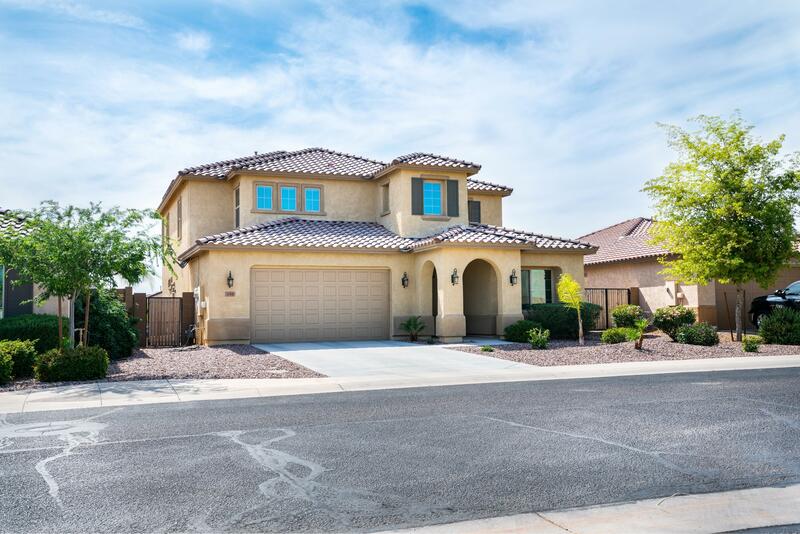 Diagonally installed 18 inch tile & two tone paint, welcomes you to the bright open living concept kitchen w quartz counter tops & oversized cabinets w back splash & custom crown molding. 1 BR & full bath downstairs with tandem 3 car garage, storage cabinets & side en"
"Brand New Build Home on a 27,000sqft lot in Sundance. Move In Ready! 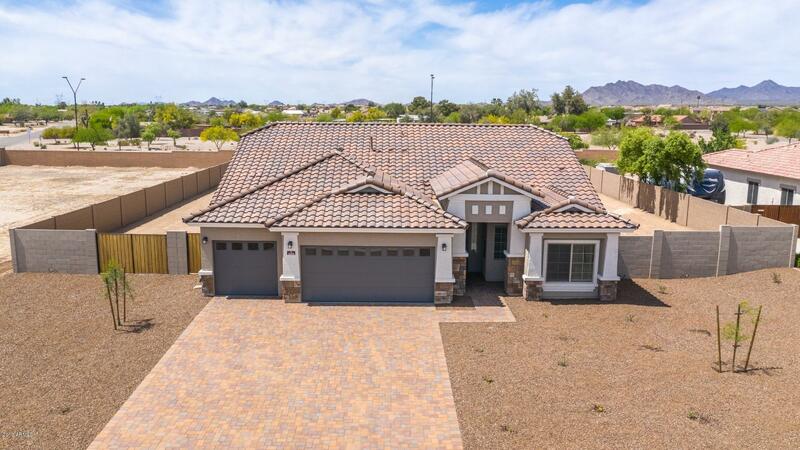 This 2236 sqft single story 4 bed 3 bath 3 car garage home will dazzle you. It is loaded with spectacular features such as.....Paver Driveway, Stone Veneer Front, Oversized Gate to side yard, White Cabinets, large open Kitchen w/ Granite Kitchen Island & Quartz Counters, Subway Tile Backsplash, GE Stainless Appliances, Subway Tile Master Shower, 18'' Tile in all the right places, large Laundry Room, over sized Covered Pa"
"Brand New Build Home on a 28,000sqft lot in Sundance. Move In Ready in April. 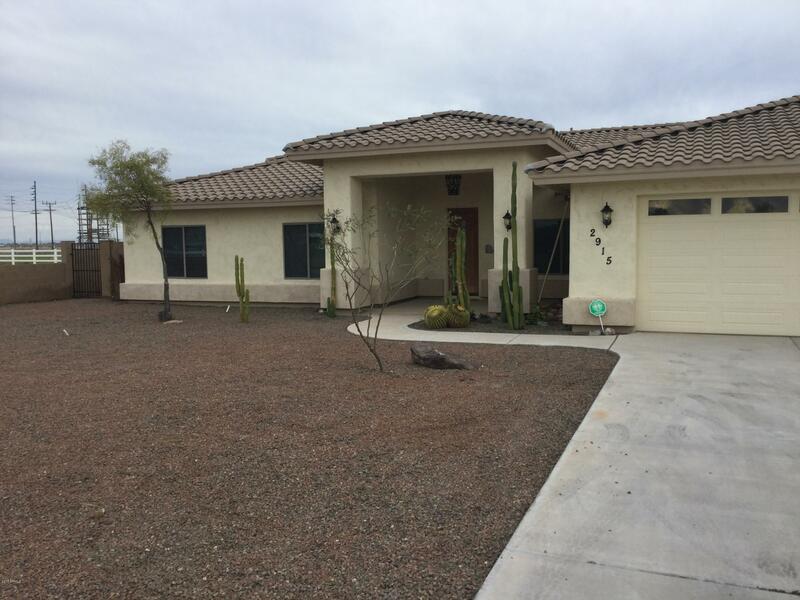 This 2236 sqft single story 4 bed 3 bath 3 car garage home will dazzle you. It is loaded with spectacular features such as.....Paver Driveway, Oversized Gate to side yard, Linen White Cabinets, large open Kitchen w/ Granite Kitchen Island & Counters, Grey Subway Tile Backsplash, GE Stainless Appliances, Vinyl Plank flooring in all the right places, large Laundry Room, over sized Covered Patio. This home also comes wi"
"This home features 3 bedrooms, 2 bathrooms plus a den, in 2,390 square feet of living space. Options includes a 2' extension at the rear of the house, an exterior fireplace on the rear patio, paver walkway and driveway. Inside you will find a den, upgraded kitchen cabinets, granite counter tops, stainless steel appliances including cook top, canopy hood, micro/oven combo, dishwasher and refrigerator. This house is a must see." "NEW BUILD!! 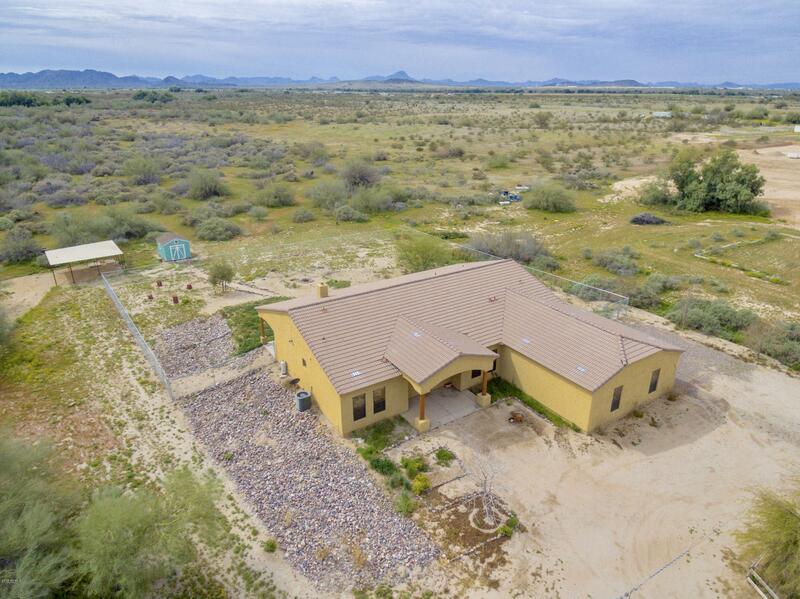 CV HOMES brings this beautiful 2x6 framing custom home full of upgrades on .8 of an acre, NO HOA, can use as horse property, and expansive mountain views. 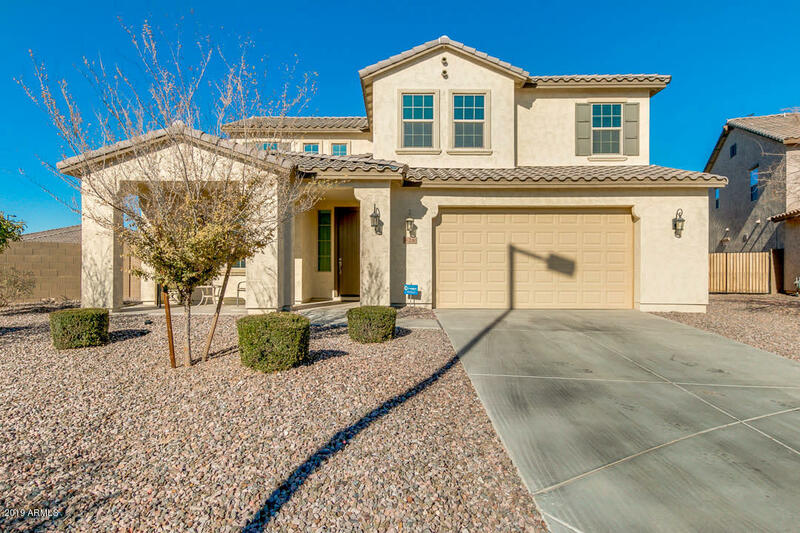 4 bedroom 3 bath with TWO SPLIT MASTERS, Main master bath has two separate vanity areas and bedroom exit through French doors. 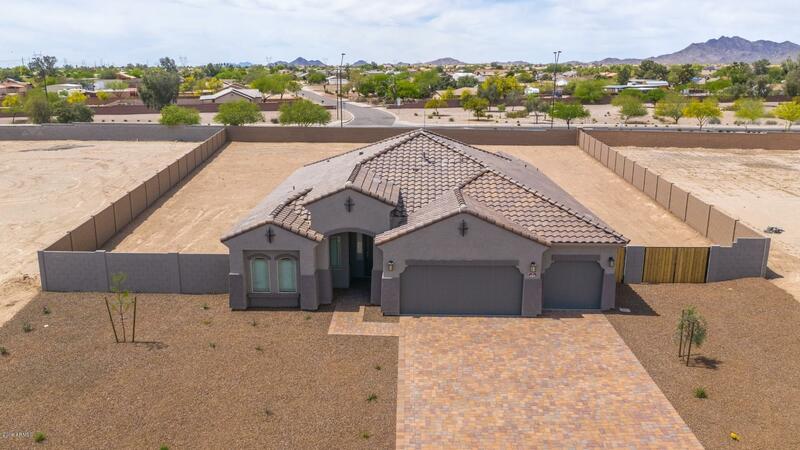 Entire home has an open and flowing concept for entertaining with 10 ft ceilings and 11 ft niche in the kitchen/living room, stainless steel appliances, quartz counter tops, top of the line fixtures. Beauti"
"Gorgeous 3300 sq ft. home with 4 bedrooms with master upstairs. 1 bedroom and 3/4 bathroom down stairs. Master bath and second bath have double vanity. Master bath has separate shower and tub. $60,000 in upgrades from the builder including upgraded flooring, upgraded kitchen, surround sound. 3 car tandem garage with utility door. RV gate. Large back yard. Full size laundry room. Big Costco closet. Large walk in pantry. Gas stove. Front yard landscaping with automatic timer. Huge back yard." 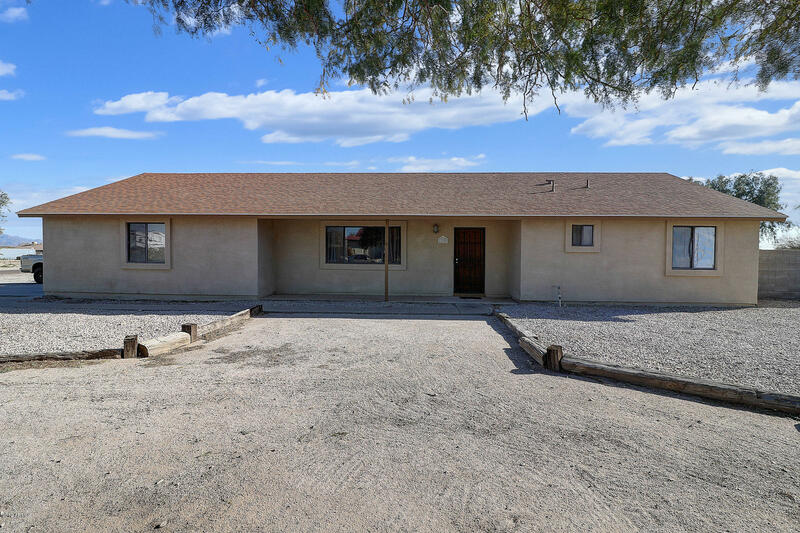 "This horse property is updated and well maintained with 3bds & 2bas and NO HOA. With a newer roof and nice open floor plan with newer flooring installed throughout and newer cabinets in the kitchen means elegance need not be compromised . The mstr has 2 closets so there should be plenty of storage and separating each others belongings will be a breeze! The mstr bath has a double shower. 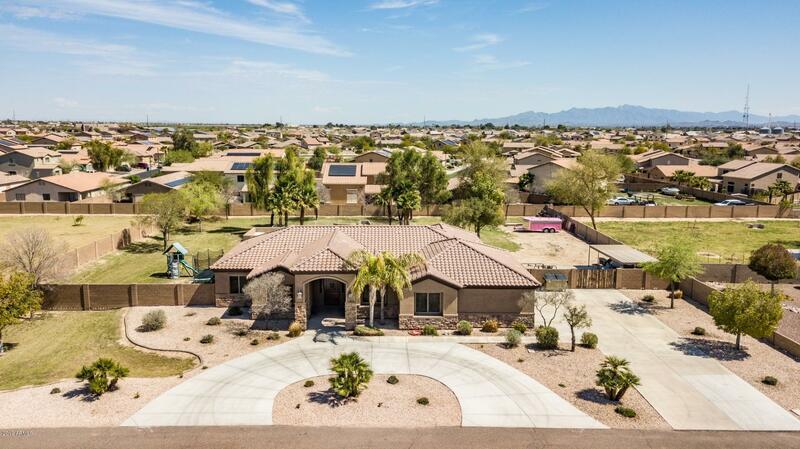 The newly resurfaced fenced pool and spa enables a sense of security when holding family functions and will al"
"Here is that supersized 5 bedroom home that you have been looking for. This home has room for everyone and everything, and is perfect for entertaining. The kitchen opens to the huge family/dining room and has french doors that lead to the backyard. The patio was extended and includes an enclosed area that is perfect for a winter hangout. Just overall a fantastic space for entertaining friends and family. All living areas and bedrooms in this home are HUGE. From the extended use of cabinets"